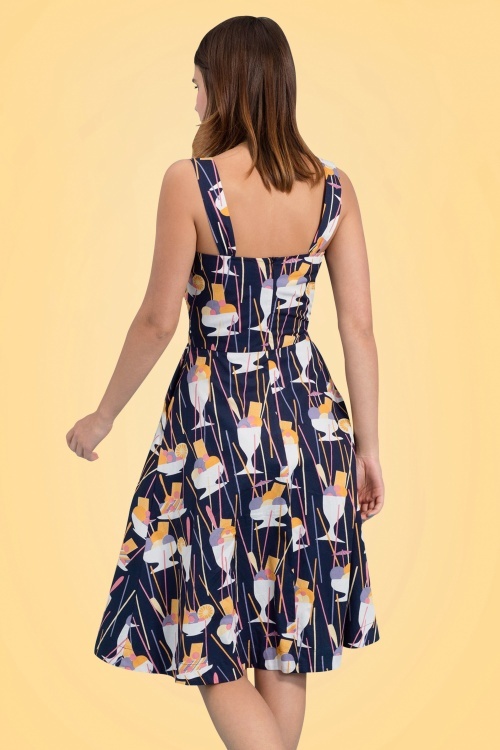 We all know a sundae ice cream is not a very healthy choice, but you can endlessly enjoy our 50s Pippa Ice Cream Sundae Dress! 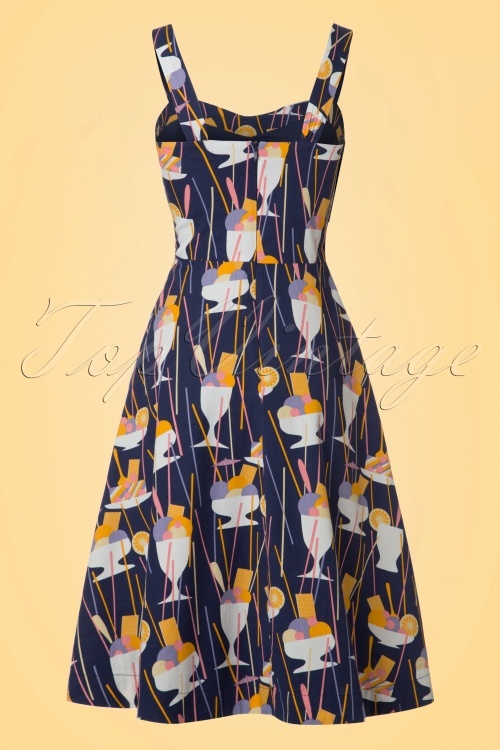 Emily and Fin is well-known for stunning retro dresses with a touch of flair, elegance and playfulness, lovely Pippa is no exception! 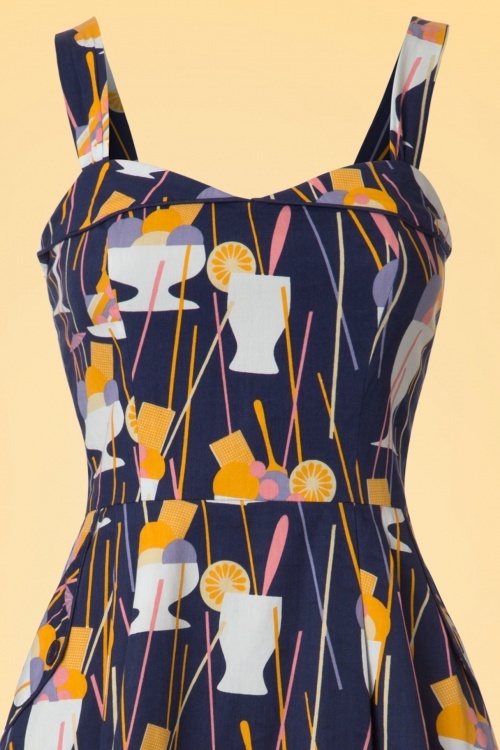 The fitted bodice features a subtle sweetheart neckline with typical fifties fold overs and wide shoulder straps. The semi-swing dress with subtle pleats also features handy side pockets finished off with faux buttons. Made from a breezy dark blue 100% cotton (doesn’t stretch! 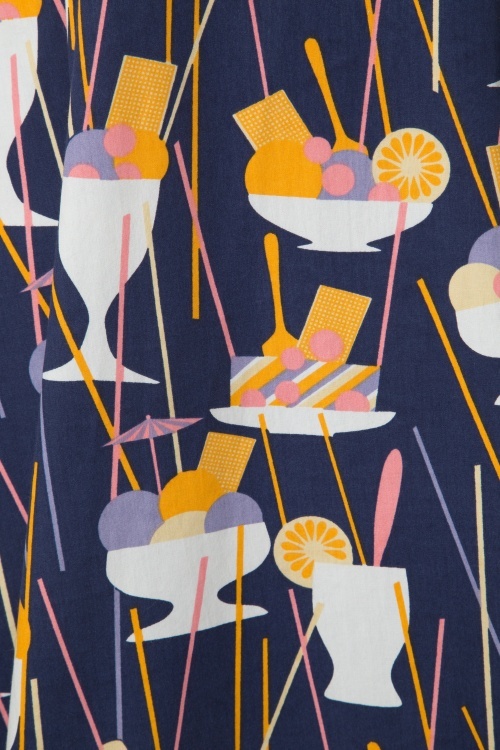 ), fully lined and features a delicious print that makes us crave a sundae ;-) We scream for some ice cream! Hits above the knee at a height of 1.70 m / 5'7"
Lang gewacht tot die in de uitverkoop was maar ik heb hem binnen een wat is die in een woord tof.. Hou van al jullie leuke printjes en details in jullie kleding..